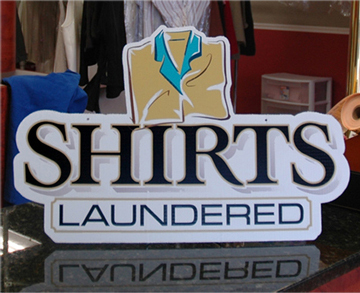 Forrest Signs, LLC, is the parent company for Store Signs by Forrest Signs. The two divisions work in tandem serving all of your advertising needs for signs--both for custom work and for ready-made stock items. 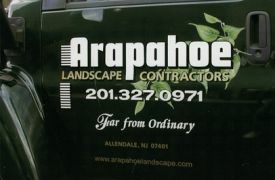 Forrest Signs, our workshop in Midland Park, NJ, is the custom signs division of the company. 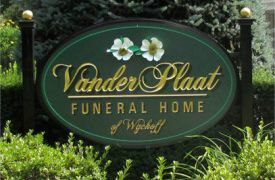 We are a long-established sign manufacturer with a top reputation. The website for Forrest Signs is ForrestSignsOnline.com. 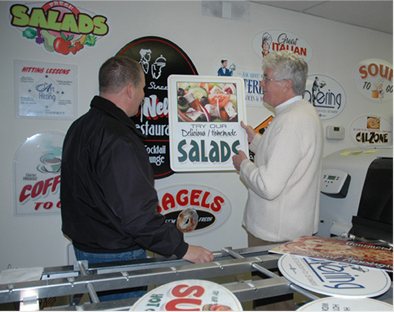 At Forrest Signs we provide extensive indoor and outdoor custom sign services. 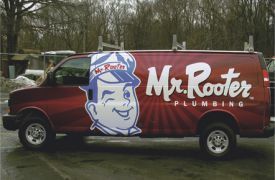 These include vinyl vehicle lettering, vehicle wraps, carved and gold leaf signs, lighted sign boxes, and banners, etc. 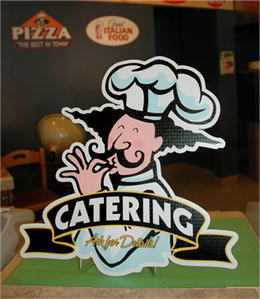 We create signs and graphics on a multitude of surfaces. Pictured below are a few examples of our custom work at Forrest Signs. Get map and directions to our workshop by going to the CONTACT US page of this website. On that page, you can also view photos of our company operation at our workshop location. CLICK HERE for THE GALLERY. See more of examples of all of the kinds of work we do. Along with maintaining our Custom Sign services at Forrest Signs, with the launch of Store Signs by Forrest Signs we are returning to the stock sign business. Our first stock sign business, Norman Forrest & Company, was initiated in 1973. We are celebrating over 40 years in the sign business! Now, we use the latest technology, to offer dazzling new collections of ready-made signs--sold here through the online store. Our new stock signs are high styled, strong, durable, water resistant, lightweight and affordable. They are ready for quick and versatile display on windows, walls, or counter-tops. 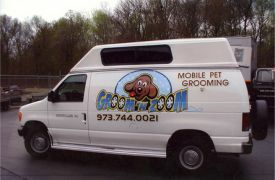 This is a great new tool for advertising for your business! To find out more about our signs, go to ABOUT OUR SIGNS. 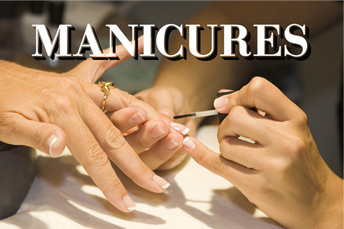 CLICK HERE for ABOUT OUR SIGNS. 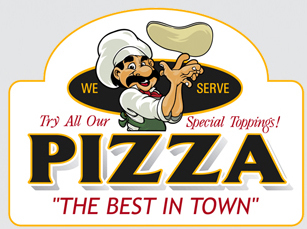 We are currently offering collections of ready-made indoor signs for select businesses: pizza, deli, lunch, convenience, dry cleaning, beauty, hair, nalils, tanning and pet grooming. Go to our STORE SIGNS HOMEPAGE to access signs for the businesses we now address. 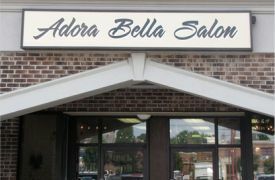 If we do not currently offer signs for your type of business, contact us and let us know your needs. We look forward to expanding to new areas for the future. Go to CONTACT US or phone 201-988-4557 . CLICK HERE for the STORE SIGNS HOMEPAGE. Are you new to our product? If you are located in the New York / New Jersey metropolitan area, and would like to see our signs in person, Go to CONTACT US or phone 201-988-4557. 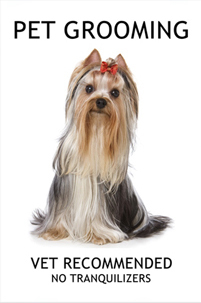 We will send a sales representative to your location to show you our work. 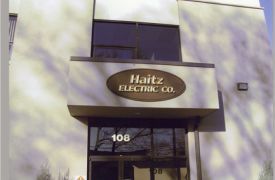 For another way to see our signs, come to our workshop in Midland Park, NJ. Go to CONTACT US for directions and map.